DC executive car service: It is always nice to take a break from your daily hectic office routine and hit the road with your friends and family. Traveling is always refreshing to the mind and soul, and it adds more fun if you have your loved ones with you during the trip. Sure, packing your stuff and buying extra clothes for your road trip might sound just the right things you need but renting a car comes first if you are going to visit a completely different place where you cannot take your car with you. Since nobody likes to travel on local shuttle transport on their vacations, nothing gives more pleasure than having your own vehicle all by yourself as you hit the road and explore new places. In order to get yourself a comfortable ride from an authentic firm, it is imperative that you first do a little research about the prices and policies of car rentals in the state or city you are visiting. And most importantly, opting for cheap car rentals is crucial if you want to keep things closer to your preferred budget. Given below are some of the tips that you can avail in finding the cheapest car rentals during your fun trip. Of course you have heard about booking a car in advance and it doesn’t sound so enticing to you, but registering a car beforehand than contacting the office right after you land on your destination can save you a great deal of money. End-minute booking comes with a price; it always costs more than the usual pre-ordering amount. If you are with your family, you will not like to wait outside the office for hours until you get the car in affordable price. Therefore, if you are visiting Washington DC, booking your preferred DC executive car service from us in advance, even before stepping your foot outside your house will save you both time and money. Prices do not always remain the same on any car rentals website. Before actually heading out with your family, do a little web research and frequently check the changing prices. For example, we at Car Service DC Incorporated like to treat our clients with compelling deals and discount offers every so often. This being said, if you are willing to get our DC executive car service, you will be more benefited if you register yourself on the day we are offering a discount offer on our ride. It will save you some money, which can surely assist you later with your other traveling expenses. We will definitely advice you to make the most of your holidays and get the best luxurious ride for yourself if you want to be pampered sumptuously. But, if you are on a mission of saving money and restricting yourself on a set budget then going for a vehicle that will fit your need right is better than wasting your money on big, lavish rides. If you think a small car will do great for you and your family, there is not harm then in booking that little ride for your journey. 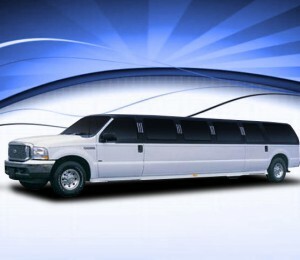 However, if it is some big occasion and you want to go all gaga with your money, there is no harm in getting yourself a magnificent limousine with a proficient chauffeur. Each firm has different sets of rules. Some offer a tank full of fuel and never mind if you drop off the car empty, but some car rentals ask customers to fill the first fuel all by themselves. This means that no extra fuel should be added or wasted during your trip, and no refunds will be made for the unused fuel. Before actually booking a car, it is for your own safety that you check a company’s fuel policy as well as their prices to save money. Often companies charge more on fuel than the local patrol stations – if this will be the case, you know which firm you would need to choose. Many car rental firms take age restrictions excessively seriously. Some have set the limit of booking a car from age above 25 to age below 60. There are firms that charge extra money if you have a different age than their set age policy. To avoid that, it is better to go for a car rental that does not count age requirements as an issue or give the driver’s keys to someone who is old enough and modest for the job. One of the biggest mistakes that people make during their experience of renting a car is that they do not check their insurance policy before booking a car for their trip. It is important to call your insurance company and see if extra insurance is needed for booking a car. Ask your credit card carrier about the insurance policy before paying, because some credit cards pay for car rentals and you might not need to pay for extra insurance. Moreover, make sure to always pay through your credit card and not through your debit card. This is because some car rental companies tend to charge extra and deduct more on the use of debit cards. They also hold on a large deposit on the use of debit cards, which means it can take days until will be returned in your account. There are tons of other tips that you can keep in your mind before booking a car that can save you money wondrously. Other tips include inspecting your rented car before taking it to the road and bringing some safety items with you, for instance, child safety seat. So that you do not need to ask for extra services from the company as they will charge on everything. Once you are sure that you have opted for the cheapest yet valuable car rentals, you are good to go on a trip with your family.